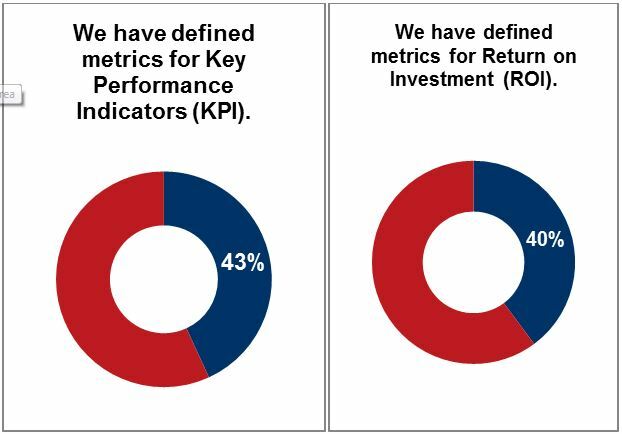 Despite encouraging numbers about cloud adoption and functionality, companies are running into issues when it comes to defining metrics such as KPI and ROI. Please indicate your agreement with the following statements about the maturity of your company’s cloud and managed services strategy. More profitable companies are more likely to have defined metrics—55% of higher-profit companies have defined metrics for ROI, as opposed to 33% of least-profitable companies. A migration to the cloud is an increasing necessity in today’s world, but without a clear plan or metrics, you may get lost.